The word of mouth marketing still remains the most effective form of marketing. Potential customers can be canvassed and swayed into taking the intended action. They become your most ardent believer because they heard from you directly or from another believer. NEWS FLASH - For word of mouth marketing to be effective, you must be deliberate about it! 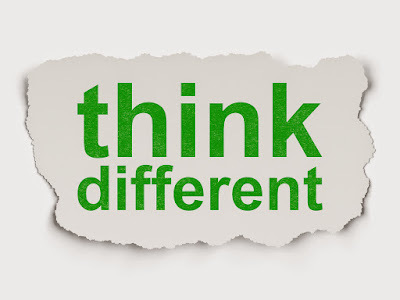 You've got to think and act differently! Word of Mouth can go two ways to either increase your popularity or it can detract from your progress. It is far more effective than any paid adverts or campaigns when it is done right. In fact, an article in the McKinsey Quarterly, authored by Bughin, Doogan and Vetvik states that "Marketers may spend millions of dollars on elaborately conceived advertising campaigns and yet, what often really makes up a consumer’s mind is not only simple but also free: a word-of-mouth recommendation from a trusted source. As consumers overwhelmed by product choices are starting to tune out of the ever-growing barrage of traditional marketing, word of mouth cuts through the noise quickly and effectively." The easiest way to initiate and maximize positive word of mouth is to exceed your customer's expectation. Make your customers exceptionally happy. You cannot do this without deliberate effort, though. It must be something you have set a target or objective for and are willing to go the extra mile to achieve. Exceeding customers' expectations could include doing little things that have great effects. However, it could also mean doing great things that have little effect. You decide which works best for you. The focus should be to make your customers happy every time they interact with your business. Things you could do include: excellent customer service, remembering their first name, asking them for feedback and integrating some or most of their responses into your business activities, etc. Another easy way to generate and maximize word of mouth is by simply asking your customers to refer you to their networks of family, friends, colleagues and online communities. You could also give brochures and fliers of your business to your customers and ask them to help you share them. However, this can only work if you have made your customers happy, and so happy that they will be willing to do this for you. Few small businesses try to connect with their customers. This is wrong. The business relationship between you and your customer should exceed the just buying and selling process. It should go to the point of making your customers feel like your friends. You are a small business, not a large corporation. You need to take advantage of that. Use your smallness to draw your customers in and make them feel like family. Get to know about them personally. Make friends with a lot of them. Invite them to your home or for some nice events. Do what you must to make your customers feel like a huge part of your life and business. They will then be happy and engaged in supporting your growth. In every relationship- whether business or otherwise- there are people who have more influence than others in that circle or network. These people are called 'Influencers'. Wise business people take advantage of these influencers. Make them your pals. Treat them like the special people that they are. The good thing is, these influencers do not even have to be your regular customers. In fact, they don't have to be your customers at all. All you need to do is to get them to talk about your business to those in their circle of influence. That way, you gain more attention without paying for it. If you have watched the first two seasons of the Netflix show, House of Cards, then you will know Freddy very well. Freddy was the owner of Freddy's Joint, the ribs and steak restaurant where Frank Underwood (the main character) visits intermittently for meals. Freddy's Joint always had a personal feel to it because Freddy always had a story to tell. You too, as a small business owner, can do this. Learn how to tell stories about your business or yourself. Even if people don't remember what you're selling, they'll recall what you're telling. Finally, another way of maximizing word of mouth marketing is by doing it yourself. So many small business owners neglect the importance or effectiveness of this. Truth is, some are too shy to talk about their business outside. This isn't good. It's very effective and you have to learn how to do it more often. There's no better person to talk about your business than you because no one can convey the passion in and about your business better than you. Have you been neglecting the importance and effectiveness of word of mouth marketing in the past? It's time to step out of that box and move on to better things. Take advantage of social media. Do you have any tips to add to this? Do share with us in the comments section below. This is very much true. Your customers become your most ardent believer. We cannot overemphasise the need for this. It is tried and tested. I would say paying some sort of referral even if in kind, is also a way to reward customers that have 'helped' you in getting new customers. Word of mouth helped me grow my business. I told one person who in turn told a few people and the chain went on and on... It must be said that for it to be effective, you have to provide a stellar service. If you provide a bad service, the word of mouth will spread like wild fire! Best of all word of mouth is free! I may add ' reward your already loyal customers for any referrals... Works like Magic!! !